San Diego County is getting doused by scattered showers accompanying a chilly spring storm that is also dropping snow in the mountains. The low-pressure system moved south into the region late Thursday after bringing gusty winds to the San Joaquin Valley and deserts, and snow to the Sierra Nevada. NBC 7's Elena Gomez reports from Kearny Mesa where rain had been falling overnight. In our local mountains, the National Weather Service forecasted one to four inches of snow between the 5,000 and 5,500 foot level. As of 8 a.m., an inch of snow was reported as low as Julian. Big Bear reported six inches of snow on the ground. 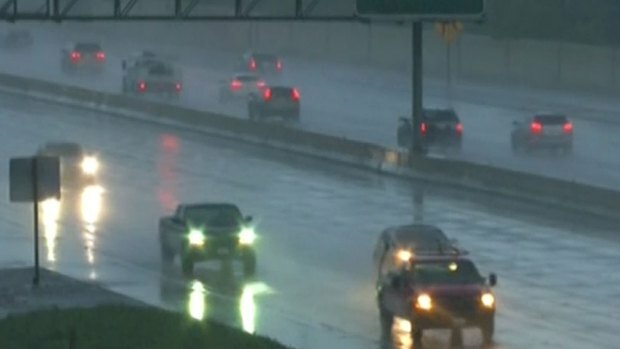 Mission Valley and La Jolla residents reported receiving some hail before 9 a.m. 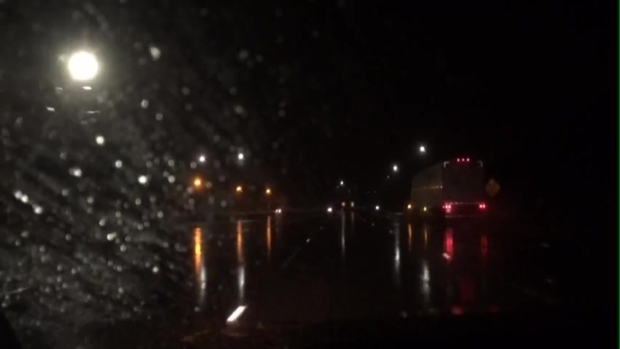 This video was captured by an NBC 7 News crew as they traveled northbound along Interstate 15 before 5 a.m. While some areas may see no precipitation, others could experience heavy downpours. 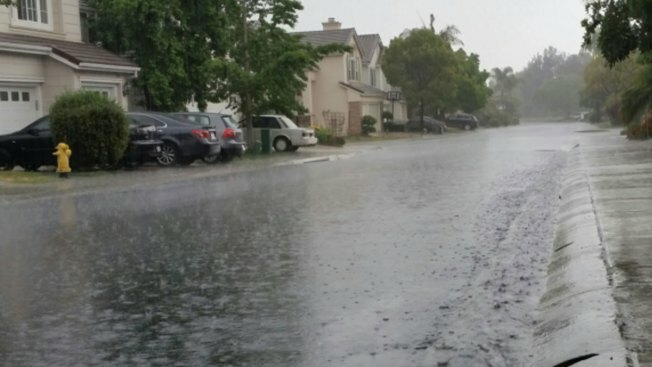 A flood advisory has been issued for several communities including Chula Vista, Oceanside, Carlsbad, Temecula, El Cajon, Vista, San Clemente, Encinitas, National City, La Mesa, Lake Elsinore, Riverside and Poway. Forecasters say the cold and unstable air mass might linger in the region into Saturday. A wind advisory has been issed through Saturday morning for mountain passes and canyons across the county.